Is there a better alternative to iMaster HTML & CSS? Is iMaster HTML & CSS really the best app in Tutorials category? Will iMaster HTML & CSS work good on macOS 10.13.4? iMaster HTML & CSS is the easiest way to learn how to create websites with HTML and CSS. 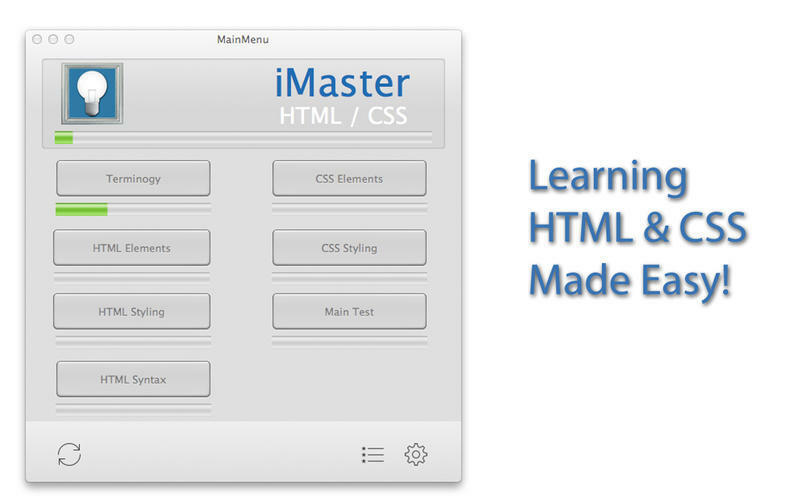 Broken into 6 different topics and 1 main test, iMaster helps learn all aspects of web development using HTML and CSS. A topic is "mastered" once it has been passed 3 times. You are considered a master of HTML and CSS once you have completed all quizzes. Great for learning a new technology for your job skills or to learn these web technologies. iMaster HTML & CSS needs a review. Be the first to review this app and get the discussion started! iMaster HTML & CSS needs a rating. Be the first to rate this app and get the discussion started!